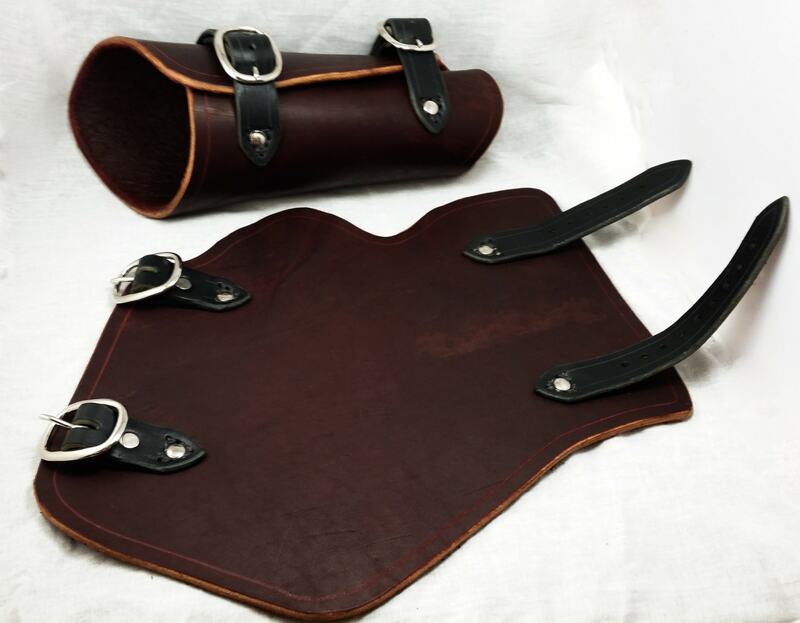 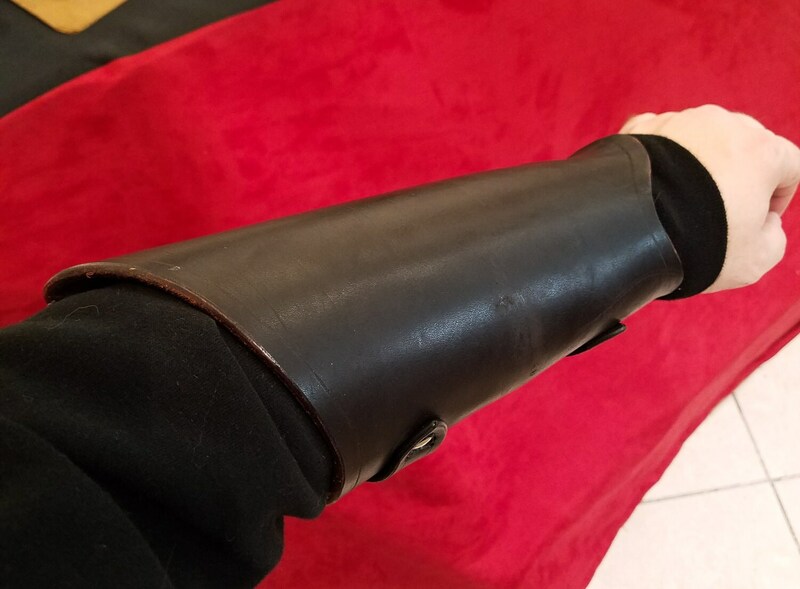 This listing is for a set of lower arm armor, called "Vambraces"
These vambraces are inspired by the ones worn by Legolas in the lord of the rings films, and provide full arm coverage for both sword fighting and archery. 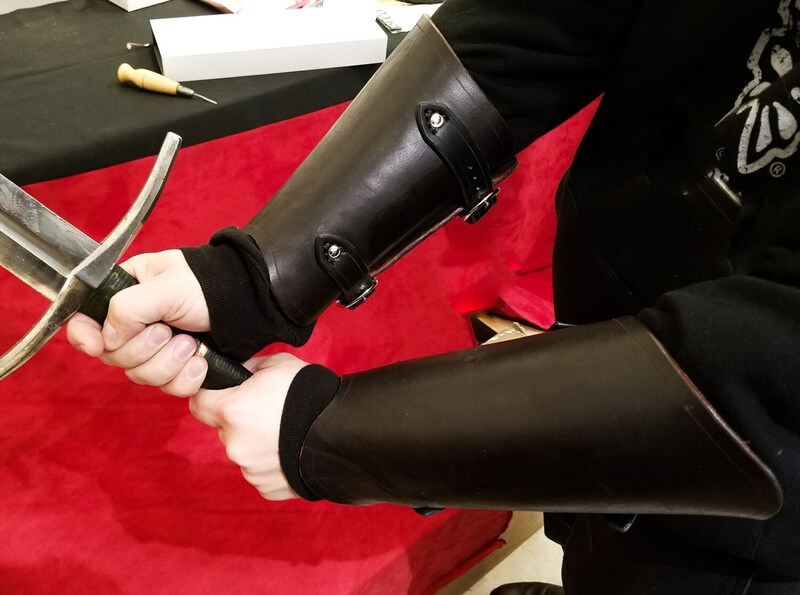 The wrists on these vambraces are contoured to overlap the top of the hand slightly, making them slightly more comfortable and less likely to slide down the arm. 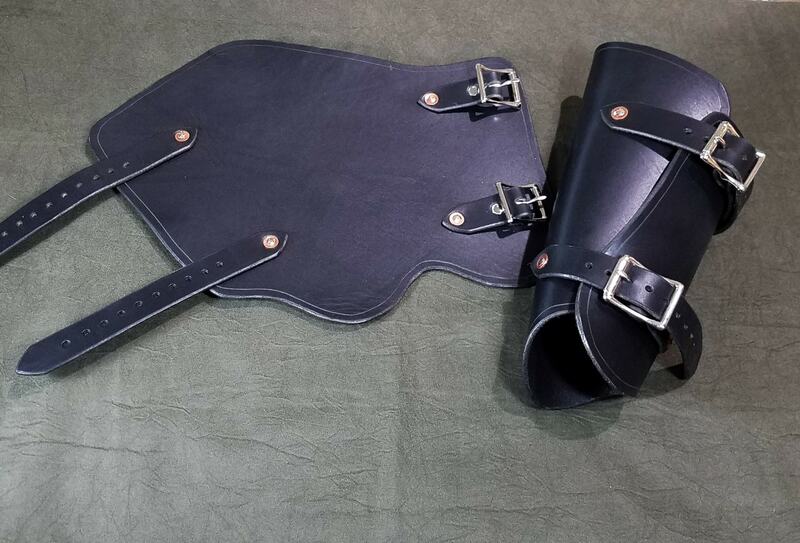 For a straight-cut wrist, check out our "greenwood" vambraces. 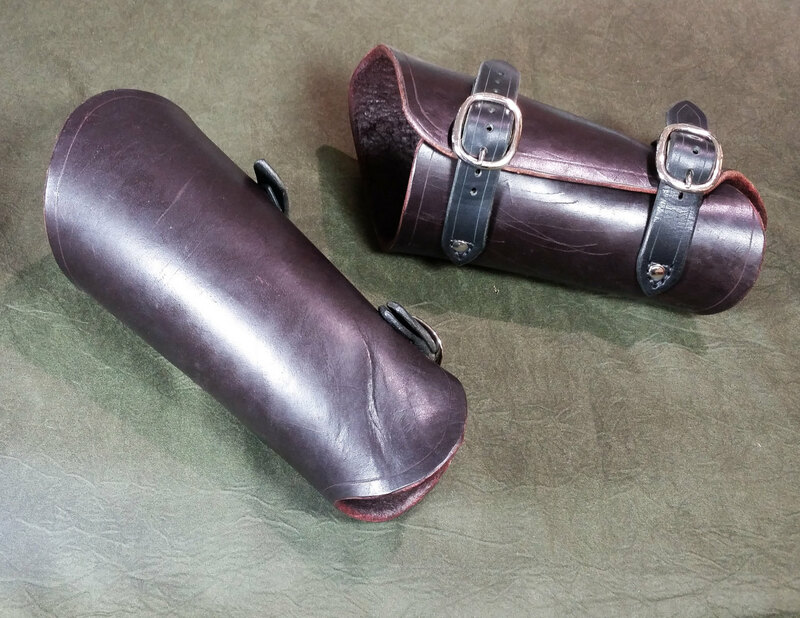 Each vambrace is made out of 8 - 10 ounce latigo cowhide.